HEROES GET REMEMBERED BUT LEGENDS NEVER DIE, featuring Chicago-based artist Marcelo Eli, curated by Claire Molek and hosted by Leslie Hindman Auctioneers. The exhibition hosted an instructional auction of Marcelo’s custom baseballs, beginning at just $1 a piece, preceded by an interactive “how to bid at auction” tutorial conducted by Leslie Hindman Auctioneers’ awesome staff. The 11 baseballs each realized an average price of $200 per ball. The event’s title is in reference to the classic film The Sandlot, which details the saga of a young boy, “Smalls,” who moves into a new neighborhood and goes on a series of adventures with his new friends. Smalls borrows a baseball signed by Babe Ruth from his stepdad, and the ball gets hit over a fence, where lurking is a large, seemingly terrifying and vicious dog. Smalls and his friends proceed to get the ball back by any means. Eli works on un-stretched, unprimed artist canvas, alongside drop-cloth canvas and textiles. In production the paintings are stacked one on top of the other on the floor, subsequently creating a series of monoprint and allowing the artist to literally enter the work, and enter again. 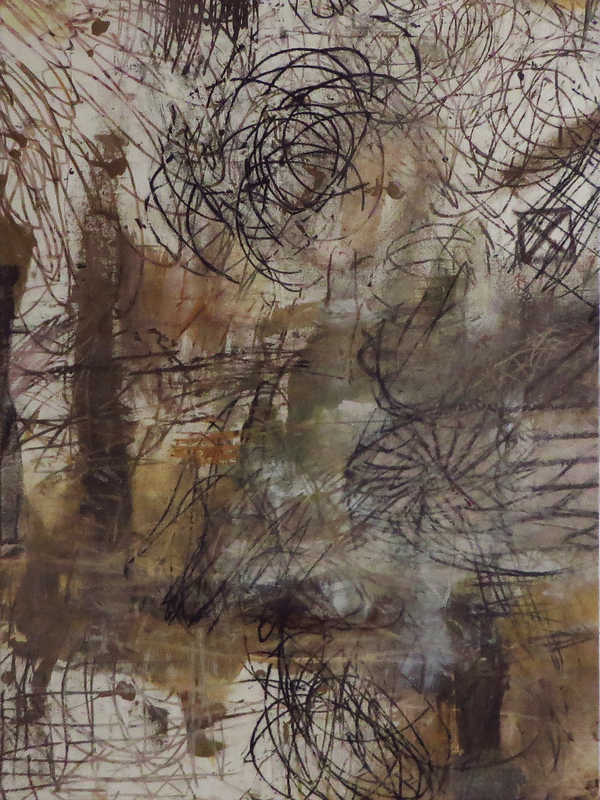 This overlapping of the work onto itself, in addition to often stitching the canvas with the drop cloth or select textiles, forms a kind of sampling, creating compositional density of time and space, and embedding itself within the marriage between symbological study and physical narrative, contemporary and ancient cultures, and actively joining the mirage and span of time, history, and the history of time. Here we find ourselves in an instinctive search for greatness, a desire to get the ball, to be the ball. What better setting for such a theatre than an auction house?